Safeguarding and child protection are a strong focus for children’s services at London Borough of Haringey. As it recovers and transforms following several high profile failures, the focus is now shifting towards early help and preventing the need for children and families to have social care intervention. However, the council needed to find the budget to ensure that early help and prevention approaches would be successful. IMPOWER worked closely alongside our staff to provide invaluable insight to attracting new foster carers, as well as undertaking a comprehensive review of our service which highlighted the exact points that needed to change. IMPOWER worked with the senior leadership team in children’s services to identify capacity and resources that could be directed from intensive safeguarding services into early help services over three years and the specific solutions that would need to be implemented to ensure that services for children and families met high standards. We engaged with frontline workers and senior managers to understand Haringey and the challenges it faces, analysing the key issues that were causing a high level of demand for children’s social care and the possible reasons behind this. With our expert knowledge of children’s services and experience of data analysis we were able to identify key areas that were exacerbating demand and a number of evidenced-based ways to reinvest resources and help the service shift towards early help. Our best practice research, identification of solutions and implementation plan provided Haringey with the basis to develop a large scale transformation programme to achieve the identified benefits of shifting resources into early help. a high-level implementation plan identifying mode and timescale of delivery for each solution. gathering and maintaining information on early help services including an online early help presence to assist families to self-help. This project was the basis for a whole new early help approach for Haringey children’s services so it was essential that all solutions were co-produced to ensure they fitted into the culture, ethos and direction of the service. We implemented weekly meetings with the senior leadership team to present findings and discuss solutions. We also engaged with heads of service and frontline staff through workshops to share our findings and develop our ideas in line with what would work for the service. We presented a number of interim reports which allowed for the leadership team to steer our thinking, ensuring we produced a final report that included everything that was relevant to ensure the successful implementation of solutions. IMPOWER provided a number of options throughout the project for the senior leadership team to consider. The data and other findings and staff discussions enabled us to build a picture of Haringey and what the future children’s services needed to look like. These discussions allowed us to reshape some our solutions to better fit the organisation and its service users and our flexible approach meant that we were able to adjust timescales and deliverables as necessary. 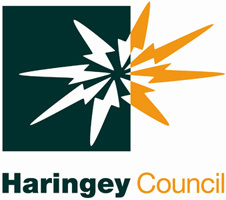 Given Haringey’s history, we saw it as essential for key stakeholders in children’s services and the wider council to be involved in shaping the solutions. Facilitating a workshop with operational staff allowed us to test solutions and evidence to make sure that they would work on the ground. It also improved our awareness of other initiatives in the borough and those planned for the future, ensuring our recommendations would fit with these. Staff feedback was positive and showed they felt included in the work.